Unlike in Hollywood, where the Ninja walk around in broad daylight doing back flips dressed in their 'black pajamas', the real Japanese Shinobi would be undistinguishable from every other person around them - until it came time to act that is! 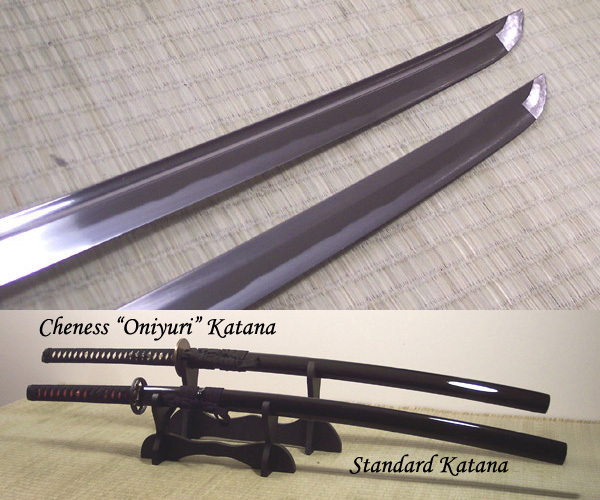 In this time honored tradition, the Oniyuri Katana makes the perfect Shinobi weapon: on the outside, it looks like any other ordinary Katana - but the shorter blade gives it an unfair advantage on the draw, and if need be can be followed by a rapid succession of swift, close in and unfamiliar attacks until the opponent is quickly overwhelmed and neutralized before they have a chance to work out what is going on. Fast handling (especially the 'bo-hi' fullered option), frighteningly sharp and forged from extra tough 9260 Spring Steel that Cheness has become famous for, the Oniyuri makes an eminently durable and practical cutter and is unique to Cheness Cutlery. 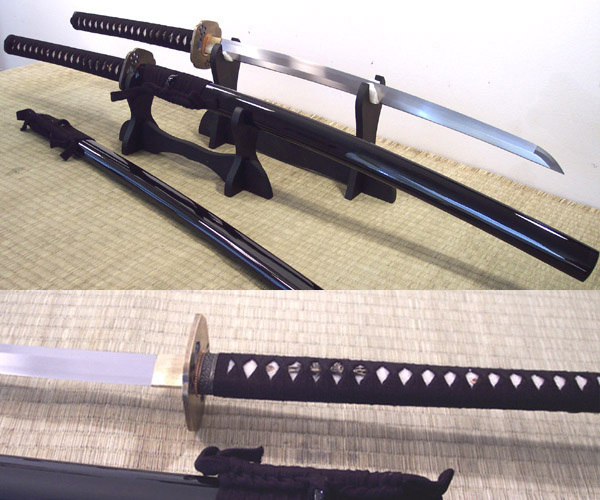 WARNING: Due to the sharpness of the blade, it is strongly NOT recommended to practice quick drawing the blade unless under the supervision of an appropriately qualified Ninjutsu instructor. If you haven't seen it already, click here to read the full review and destructive test results on SBG. 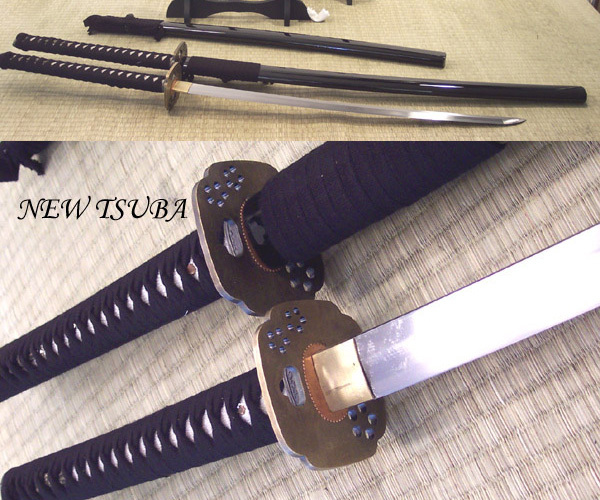 Heavy Duty cutting Shinobi (Ninja) Katana designed for members of the Bujinkan Dojo. great black sword bag...storage box left something to be desired. It was dented in travel and I wouldn't want to store it in a moving truck near anything heavy. My only real issue is the fittings...I was expecting a matainace kit but it appears that is no longer offered with purchase...the habaki was ground off on one side to low where the sword blades spine rests in the saya and the blade corner protrudes out and scraps the mouth inside the scabbard taking material every time the sword is removed until it has nothing left to make contact with.